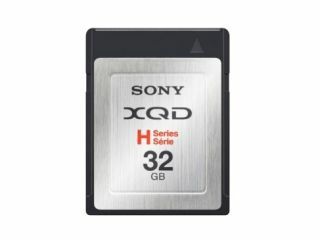 Several memory card manufacturers are yet to join the new XQD memory card, leaving only Sony manufacturing cards at the moment. The XQD format was announced at the end of 2011 and so far there is one compatible digital camera, the newly announced Nikon D4. Promising extremely fast read/write speeds of up to 125MB/second, the physical size of the card is a little bigger than current SD cards, but a lot smaller than CF cards which are usually found in professional level cameras. Sony was the first manufacturer to confirm it will be bringing cards to the market, and has announced 16GB and 32GB versions at the same time as the D4 announcement. SanDisk on the other hand, has neglected to join the new card format, according to a spokesperson from the company. This is perhaps particularly unusual considering that it helped to develop the XQD format. Other memory card makers have also declined to join, including Lexar, which is said to be "evaluating the technology", while a Kingston representative told us that they weren't aware of any plans to make cards at present. It seems likely that any new top-end camera from Sony will also include an XQD slot, but, other professional and prosumer level cameras from Canon and Nikon are expected to arrive imminently, including a successor to the 5D Mark II, possibly the Canon EOS 5D Mark III, and an update for the D700, most likely thought to be the Nikon D800. Keep following for any further updates on how the new memory card format progresses.